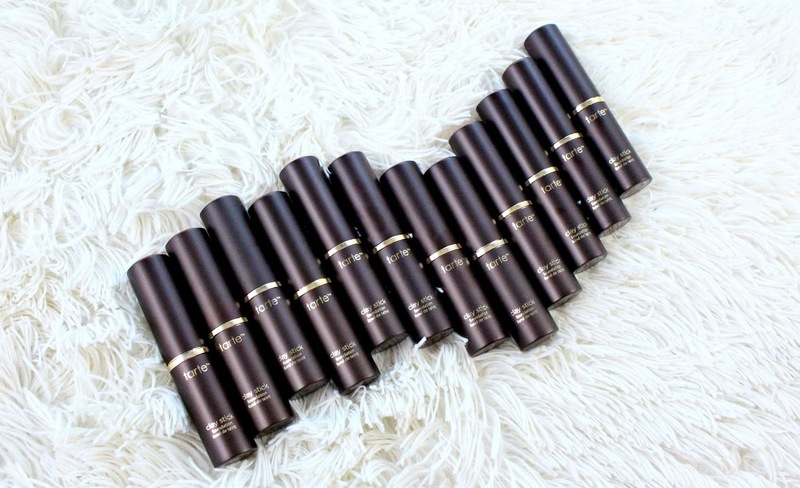 Launching on May 21st at tartecosmetics.com is the tarte Amazonian Clay Stick Foundation! 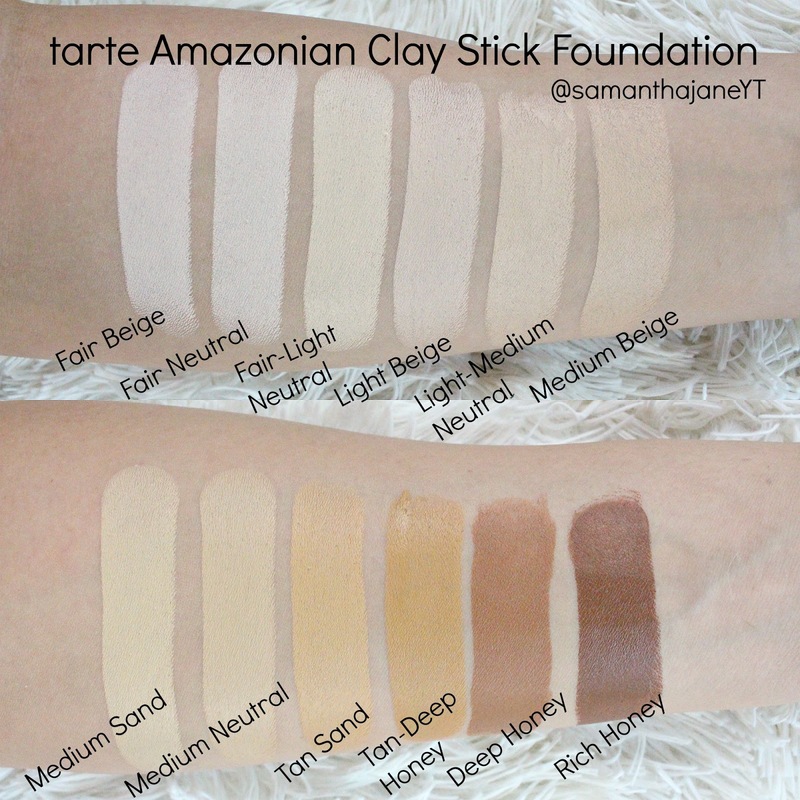 This is one of the extensions to their Amazonian Clay line, there is also a new palette on the way. 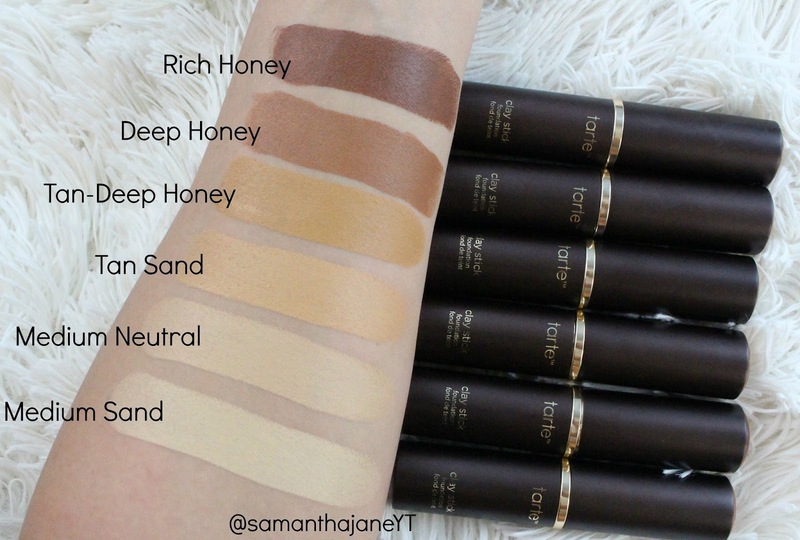 This foundation will retail for $39 USD and includes 9g of product which is about average for a stick foundation. See it in action on my YouTube Channel in my tarte Clay Stick Foundation Review/Wear Test. 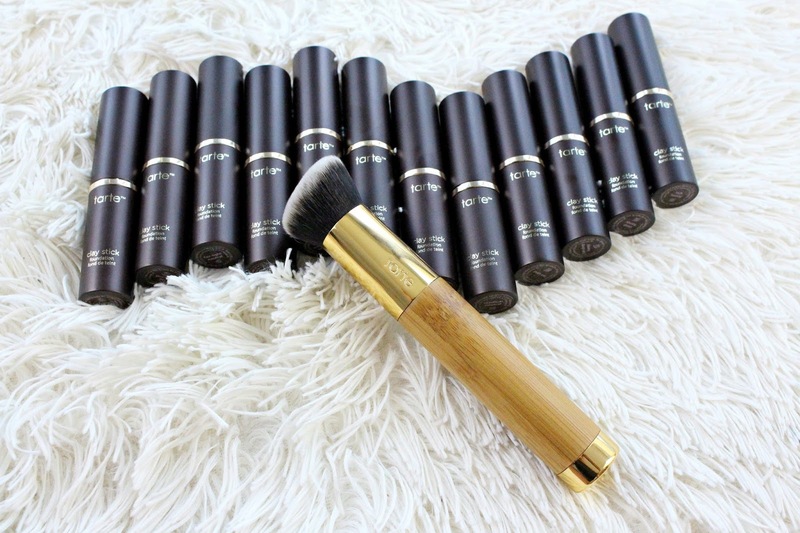 Also launching with the foundation is the tarte Smoothie Blender Foundation Brush, this will retail for $28 USD. It has a great dense, angled top but it is still quite soft. 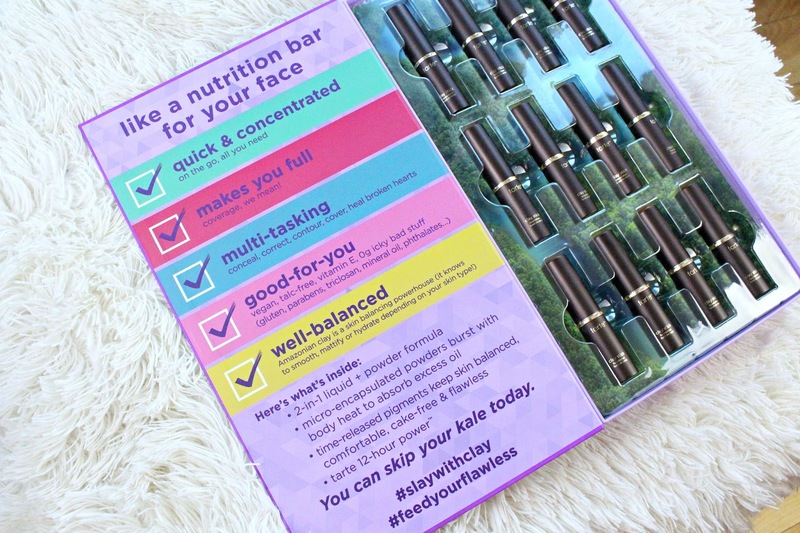 Good for both this stick foundation and liquid! 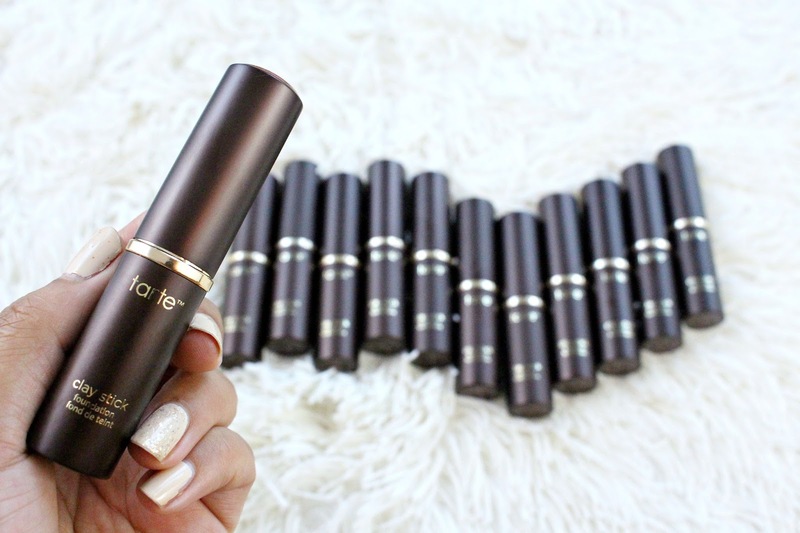 It comes in 12 different shades, I anticipate tarte will extend the range as they've done with their other products. This foundation is brand new to me so I can only give you my first impression. So far so good! I think that it held up nicely on my super oily skin, I still got oily but it did not break apart or feel too greasy. Once I blotted I was good to go. I don't feel like it is full coverage, it's definitely buildable but it would just take too many layers for me to get to full. That's fine with me, I like a light/medium coverage anyways. It did not oxidize on my skin, or enhance pores - that being said if you have texture a smoothing primer is always an option. Overall, I really like this foundation! If you have oily, combo or normal skin it's something to consider trying. *This product was provided for my review, some links may be affiliate. 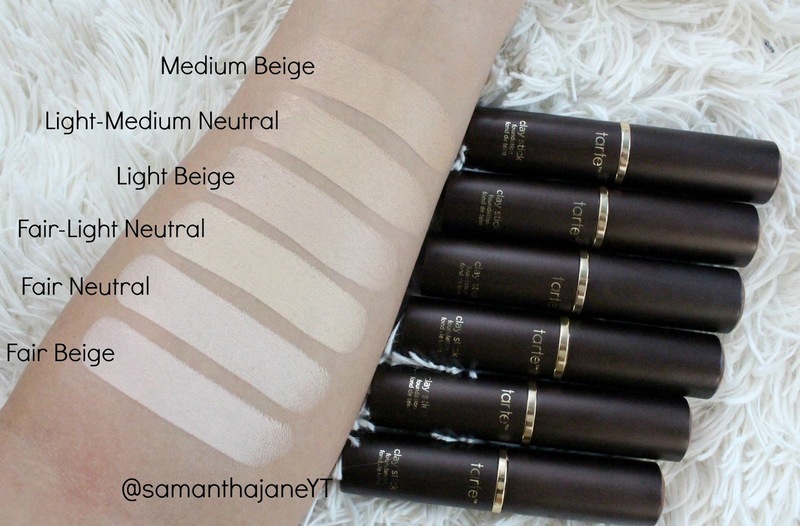 If I wear medium neutral what darker shade would be best for contouring? I'd go 2 or 3 shades deeper, depending on how much depth you're looking to create!